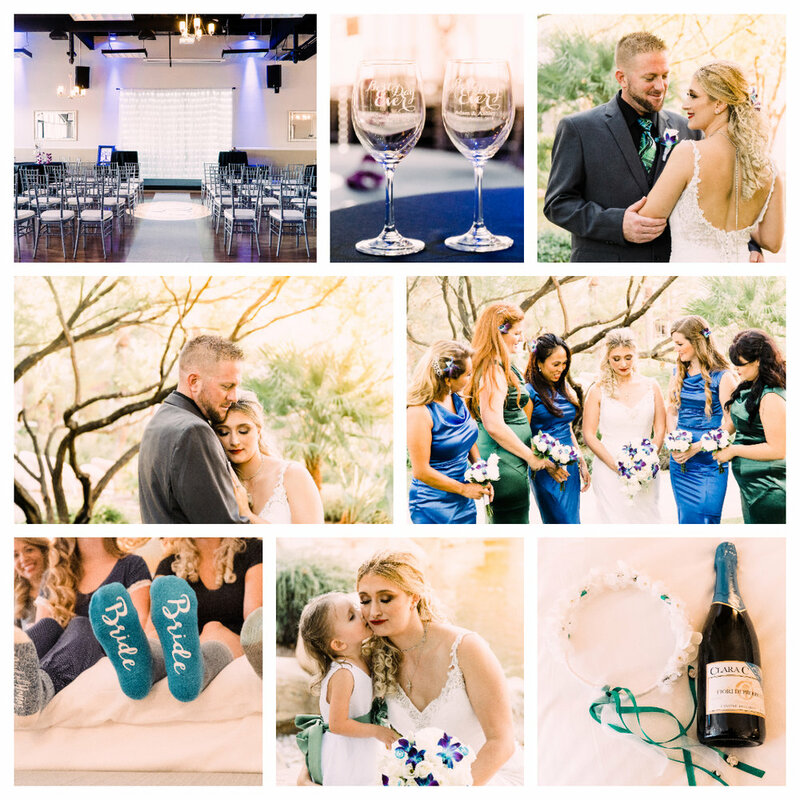 Ashley and Adam had such a beautiful wedding. I’m going to admit something I’m not even ashamed of - I cried like a baby at this wedding. I swear, I don’t normally cry! Right before the ceremony (timing, oh my gosh) Ashley opened a letter that Adam had given her 3 weeks after they met and his instructions were to not open to the letter until he said. Well, he told her to open it on their wedding a year later. It was absolutely beautiful and the letter said how he would love her and her two children for the rest of his life and that her love invigorated him to be a better man. We went to quite a few locations throughout the day. Starting at the Venetian on the Las Vegas Strip, we wandered down to the JW Marriott in Summerlin before finally ending at Elegant Events & Banquets where the ceremony was held. Look at these two lovebirds and tell me you can’t tell how in love they are with each other. Can’t wait to show you guys their finished highlight video!